Nicole Blades is a novelist, speaker and journalist who has been putting her stories on paper since the third grade. 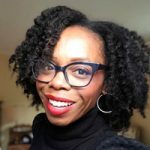 Born and raised in Montreal, Quebec, by Caribbean parents, Nicole moved to New York City and launched her journalism career working at Essence magazine. She later co-founded the online magazine SheNetworks and worked as an editor at ESPN and Women’s Health. Nicole’s articles and essays have appeared in The New York Times, Women’s Health, Good Housekeeping, Cosmopolitan, Health, WashingtonPost.com, MarieClaire.com, BuzzFeed and more. Her three novels, “Have You Met Nora?,” “The Thunder Beneath Us,” and “Earth’s Waters,” are available wherever books are sold. Nicole has also been a panelist, presenter and guest speaker at conferences such as Massachusetts Conference for Women, The Muse & the Marketplace, Mom 2.0 Summit, Well-Read Black Girl Festival, BlogHer, Jack and Jill of America, Inc., and a scheduled sole speaker at the 2019 Women’s Fiction Writers Association Retreat. She is a writing instructor at GrubStreet in Boston, MA, an ambassador and mentor for The Village for Families and Children in Connecticut, and a NASM Certified Personal Trainer. Find out more on her website:NicoleBlades.com.